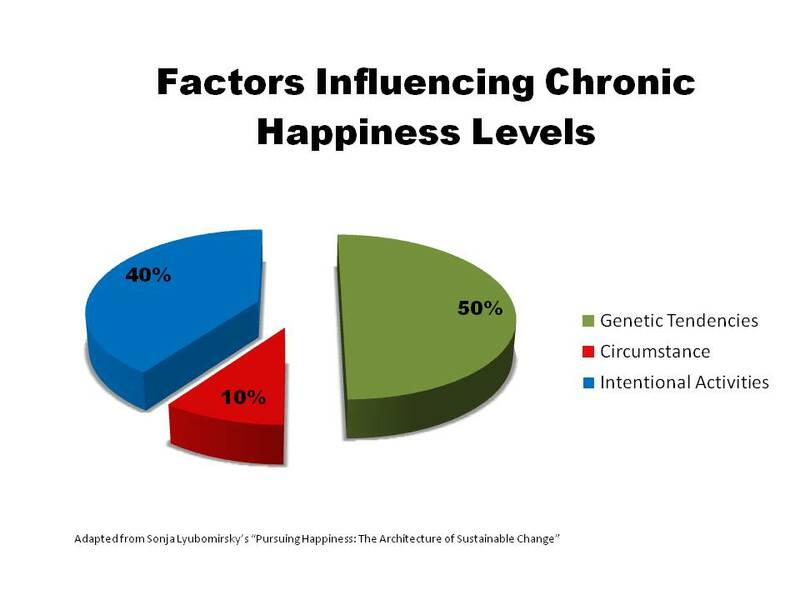 Whatever you think about the proportions, this got me thinking more widely about not just happiness, but health. It strikes me there are three contributing influences – the given, the random and the chosen. The given includes not only genetic factors, not just the DNA inside you, but also the circumstances of your birth. A child born in a Mumbai slum doesn’t just have different genetic influences from one born my home town of Stirling, Scotland. There are the physical, economic, cultural, familial environments into which they are born. Let’s assume the child neither chooses their genes, nor the circumstances of their birth. (I know not everyone sees the world that way) This is the given. The random is whatever happens by chance. If a drunk driver loses control of his car and knocks you down as you walk along the pavement, that’s bad luck. If you happen to be on a train which derails, to be where a tornado hits, get caught in a tsunami…….unpredictable events – the random. The chosen – we are always able to choose how we respond, to choose what to say or do in any given circumstance. As Viktor Frankl found, what matters is what stand we take in the face of events. See William Glasser’s “choice theory” for more on this. I don’t know if the proportions are always the same, 50/10/40, but that’s not really the point. The thing is choices are what we can do something about. In fact, it’s not as separate as this description seems so far. We now know that we aren’t just our genes using us to replicate themselves. Epigenetics shows that genes can be switched on or off by external factors. We can influence whether or not certain genes are expressed. Similarly we can influence our luck. Watch the movie, “The Cooler”, with William H Macy for a really entertaining exploration of that! Then I thought, it’s a bit like a game of cards. You have the hand you are dealt (the given), luck (what other cards other players are dealt and how they play them), and then you choose what to play when – something you can do well, or badly, depending on your skill level. And that brought back to mind the phrase, “its the hand you are dealt” – which is usually a statement of something pretty limiting. People tend to say that when they think that whatever has happened is completely outwith the person’s control, when it’s all down to Fate, or to genes or whatever….but I think we can reframe this card game analogy much more positively. We take the hand we are dealt, use our skills to play the game well, and make our best choices in the face of lucky (or unlucky) breaks! We have the given; stuff happens; and we can usually make choices, develop strengths and skills. What choices are you making today? What strengths do you have which you can develop?